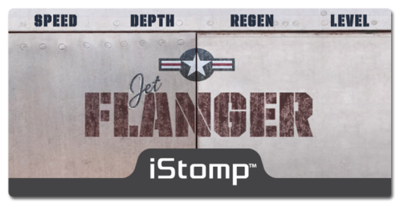 The DigiTech® Jet Flanger is an extremely flexible effect the gets you everything from subtle chorusing to supersonic jet airplane sounds. 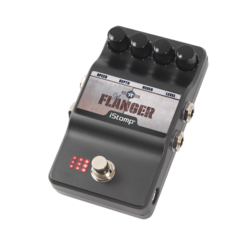 Armed with the standard Speed, Depth, and Regen, controls, the Stereo Flanger also sports a Level control rarely found on flangers for total control of the flange effect mix. 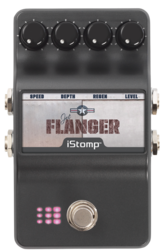 SPEED - This controls the rate of the flange sweep. DEPTH - This controls the depth of the flanger. REGEN - This controls the amount of regeneration (feedback). Higher settings yield a more dramatic effect. 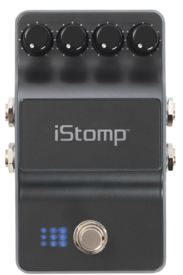 LEVEL - This controls the output level of the effect.